Deborah Allen To Host Country Music Hall Of Fame and Museum ‘Songwriter Session’ Saturday, February 9th | 2911 Enterprises, Inc.
NASHVILLE, Tenn. – Award-winning country music singer/songwriter Deborah Allen will be bringing her songs to life with an exclusive performance at the Country Music Hall of Fame and Museum’s Ford Theater Saturday, February 9that 11:30 AM. 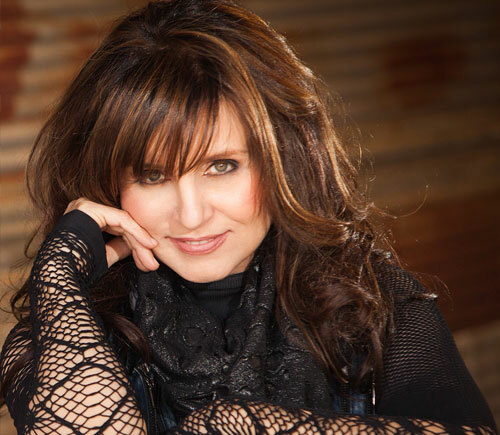 During this special acoustic performance the audience will hear the stories behind the songs of some of Deborah Allen’s biggest hits, including those she has penned for others. Deborah Allen is one of those rare artists who forged their own path to success and ended up building a world-class career in the process. An extraordinarily talented singer, songwriter, producer and performer, Deborah’s unique abilities as an artist may be matched only by her enthusiasm and creativity as an individual. It is that formidable combination of spirit and talent that keeps the Grammy-nominated entertainer in demand. In some ways, “Baby I Lied” confirmed the idea that an artist could have success in different formats with the same song, a precedent that would prove to be years ahead of the crossover trends of today. Baby I Lied not only appealed to Country and Pop radio listeners, earning multiple Million Air-Play Awards in the process, but it also resulted in a pair of Grammy nominations for the Delta songstress, one as a vocalist and one as a songwriter. In addition to her success as a singer-songwriter, Deborah has also written the classic children’s book, ‘The Loneliest Christmas Tree‘ and recently played a role in the movie ‘The Least Of These – A Christmas Story‘ starring Michael Nicolosi, Tayla Lynn and Duane Allen of The Oak Ridge Boys, which is currently available on Amazon Prime Video. Deborah not only acted in the film, she performed five songs included on the soundtrack, three of which she wrote.